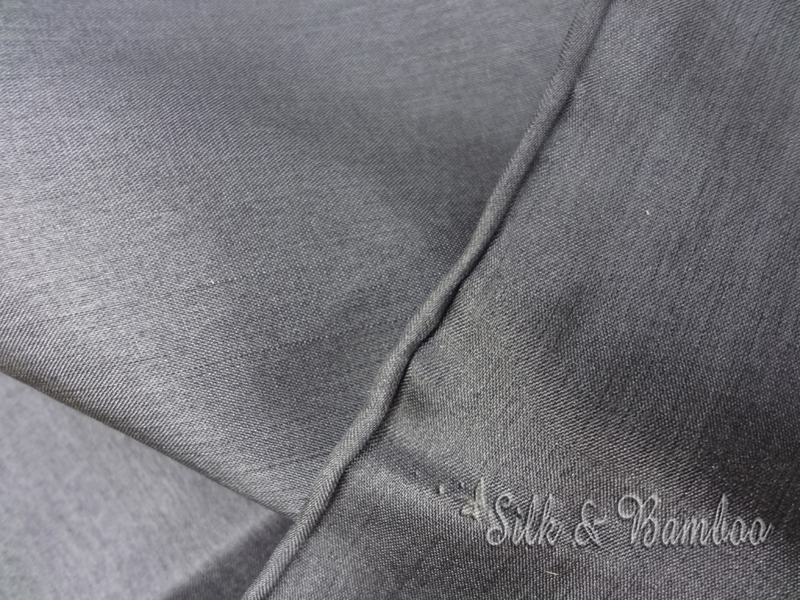 Home :: Store News :: Improved silk veil pois! 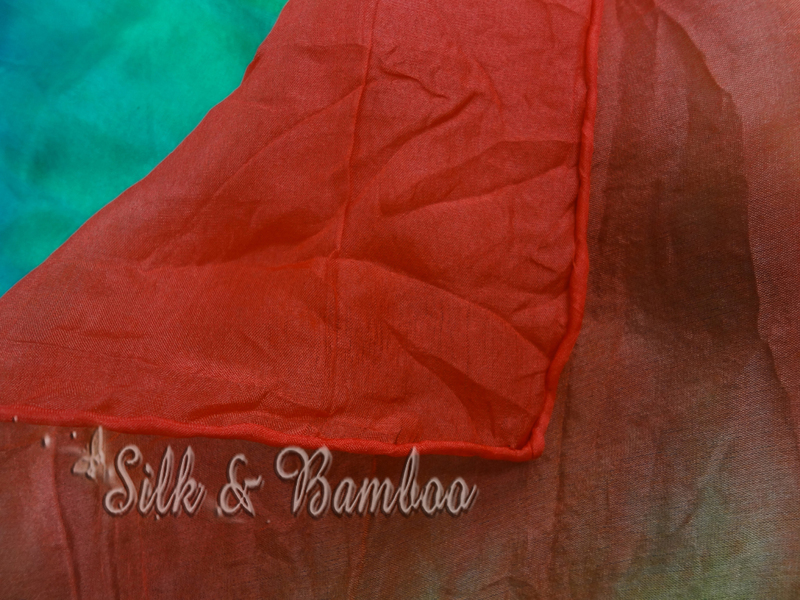 Winged Sirenny (Silk&Bamboo Studio) has never ceased creating new items! 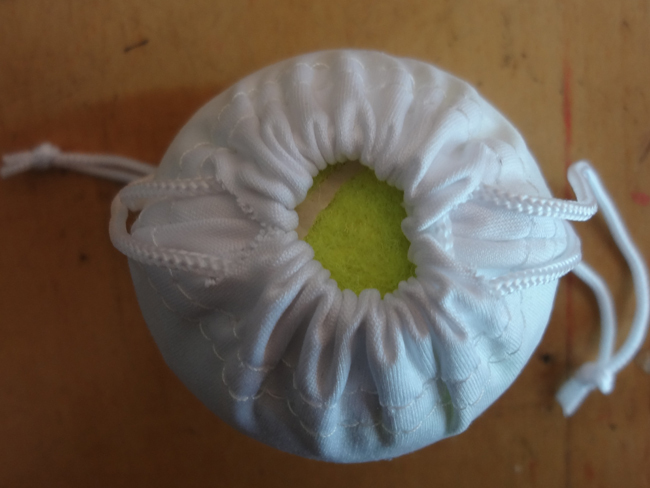 We are proud to introduce you our IMPROVED new veil pois. Inspired by our customers we have now improved the pois in the following 2 aspects! 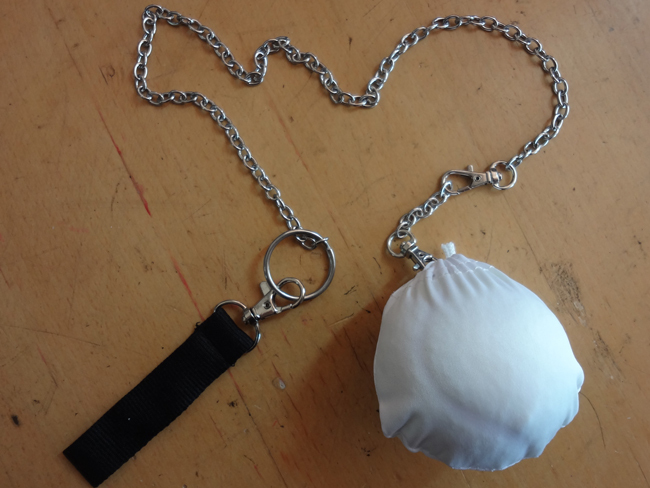 1-The ball and chain are connected in a stronger way. 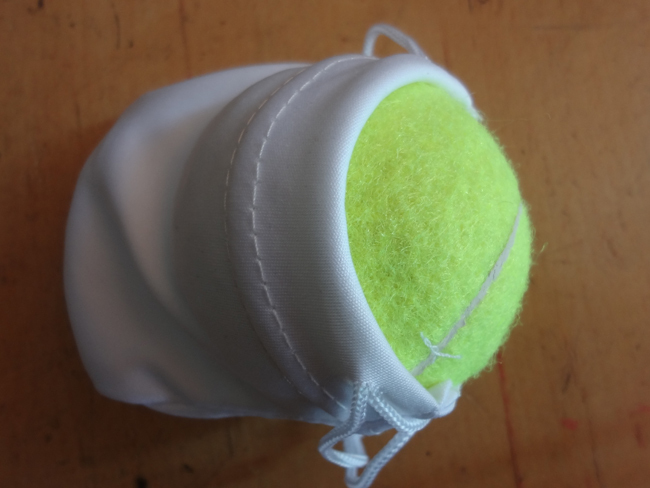 First, the ball is put into a half circle white bag. 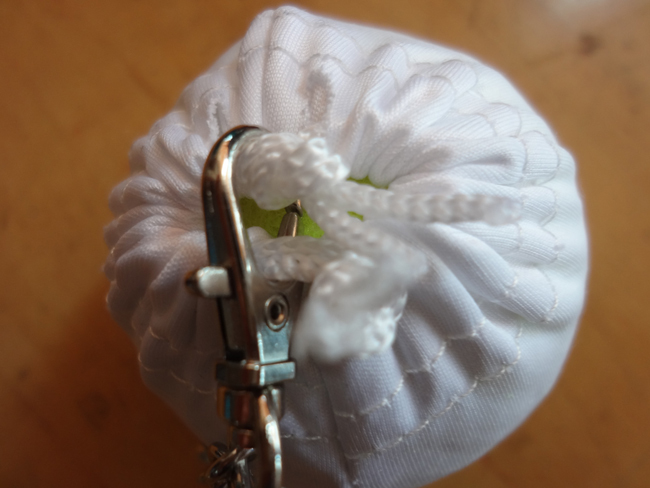 Then the bag is connected to the chain through its strings. This connection is stronger. 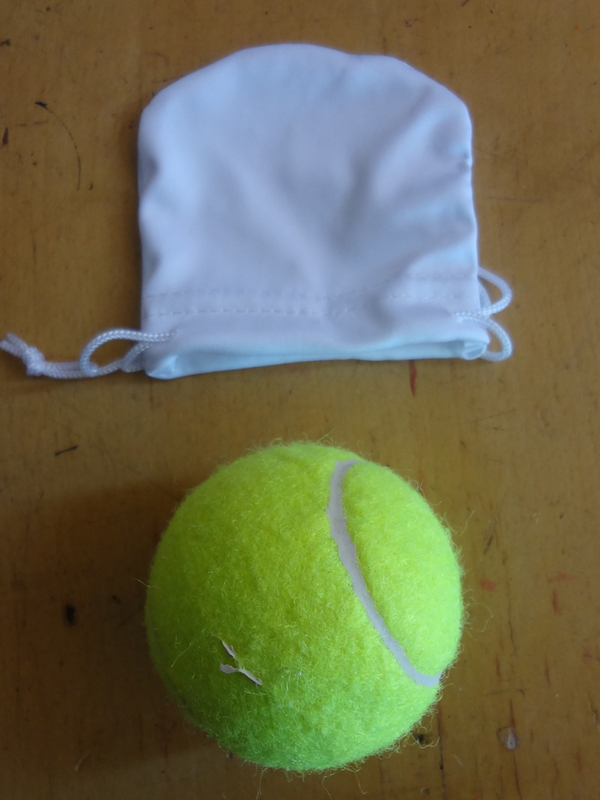 And the white bag is even more invisible than naked green tennis ball. 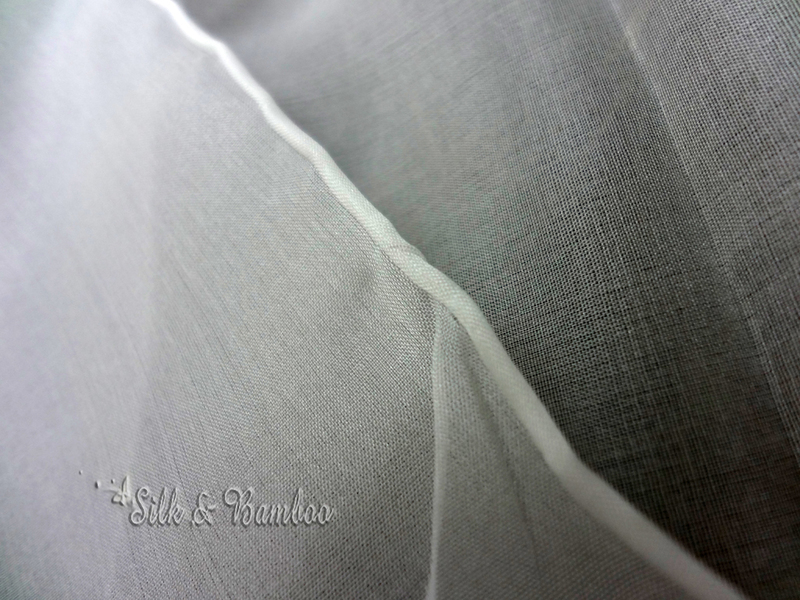 2-The edges of the veil are all hand rolled, on 4 sides!